Fire & smoke doors are an integral part of property protection, and can be life-saving in the event of an emergency. 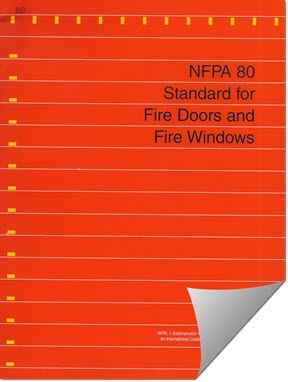 National Fire Protection Association (NFPA) standards require building owners and managers to have annual inspections and tests on their rolling and sliding fire doors, and to maintain written documentation of such inspections. With our Fire Door Drop Test program, building owners and managers stay compliant with the most recent NFPA 80 standards, while ensuring proper operation and full closure of their facility's rolling (rollup fire gates, rolldown fire shutters) and sliding fire doors. Experience. Over the last 35+ years, we built our fire door business on a foundation of honesty and the complete commitment to customer satisfaction. Quality. 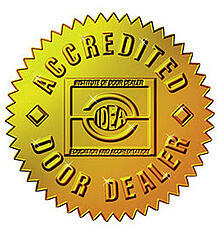 We are the leading distributor for products in the Northeast region, and the only authorized dealer in our markets. Control. We do not use subcontractors. 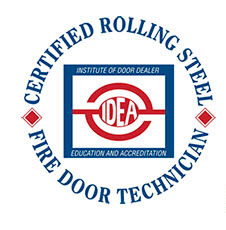 Our servicemen are Rolling Steel Fire Door Technicians certified by the Institute of Door Dealer Education and Accreditation (IDEA), and highly trained employees. Availability. We offer 24/7/365 emergency service and maintain the largest inventory of fire door repair parts on fully stocked trucks. Technology. We investment in the finest equipment and vehicles to meet your fire door needs in the safest and most productive manner. Knowledge. Our staff and technicians possess the most up-to-date information to assist you in making the right decision when purchasing fire door products or services. Confirm that attachment to jambs and proper bolts, washers and expansion anchors are as required by the manufacturer. Verify that curtain, barrel and guides are aligned, level and true. 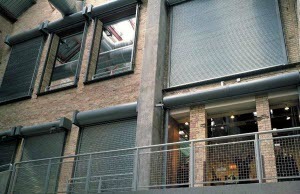 Expansion clearance is as per the manufacturer's requirements. Fusible link locations are as per the manufacturer's requirements. Check the slats- Look for bent slats, cracked beads, holes, and torn ends. Examine the end locks- Is anything missing, broken, bent or loose? Inspect the bottom bar for bent angles, loose bolts, and correct starter slat. Ensure alignment of guide assembly- Correct any bent guides, loose bolts, missing fiber washers and bell mouths. Check the hood and flame baffle (when required) or fascia- Look for bent, dented, or rubbing curtain; holes or tears. Verify attachment to the wall and intermediate support. Test brackets and operating mechanisms- Change any worn, misaligned, or badly meshed gears; broken sprockets or bent drive and spring shafts. Test the automatic closing and governor assemblies- drop or release arms tied, blocked or jammed. ** Fusible links are recommended to be replaced annually. The date stamp on the link shall be used to determine the annual replacement. Smoke detectors/ release devices- batteries must be checked annually. Control Panel- Check all functions. Miscellaneous equipment should be checked for proper operation. 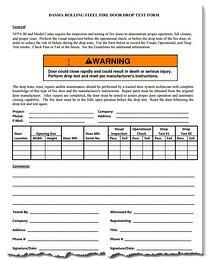 A Fire Door Inspection Report indicating if the door(s) passed or failed. A Fire Door Certification Sticker is attached to each tested fire door indicating the date the fire door was inspected, tested and passed. We save hard and digital copies of your Fire Door Inspection Certificate and Drop Test results in case of an emergency or compliance questions. 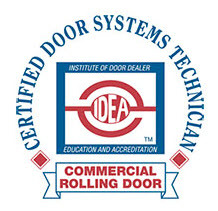 We are the area's only authorized distributor of Overhead Door Corporation products, offering the industry's best in commercial fire door sales, repairs and test services. We are proud to serve Northern & Central NJ, Manhattan, Brooklyn, Queens, Bronx, Staten Island and Southern Long Island.